When we conduct a search, we’ll be looking to tick all of the boxes in your brief. Here, Middleton’s Tom Hudson takes a wander through the Hampshire Downs and picks out just a few of the attractions that might form part of an assessment for a client looking to move out of London but stay within commuting distance of the capital. 1. The Hampshire Downs is a beautiful area of untouched, undulating chalk downland at the intersection of three counties – Hampshire, Wiltshire and Berkshire. It is well protected as a Natural England-designated National Character Area. The area is, broadly, demarcated by the River Kennet to the north and the River Test to the south, by the village of Kingsclere at its eastern margin, and Great Bedwyn to the west. At its epicentre is Beacon Hill near Burghclere and Watership Down, while the Wayfarer’s Walk traverses much of the Downs. 2. The majority of the Hampshire Downs area is owned by large private estates such as Faccombe, Linkenholt and Conholt. This prevents over-development and ensures that the area will always retain a genuinely rural feel, with many long-term residents of the area maintaining a strong sense of community and tradition. 3. For those who need to access London, the Hampshire Downs is well serviced by the Waterloo and Paddington lines. Historically, there’s been a premium to be on the Waterloo line, but Crossrail is due to change that, making the City equally accessible from either side of London. From the nearest point of the Hampshire Downs to London it is about 1 hour and 20 minutes’ drive, and from the furthest point about 2 hours’ drive. And, of course, you are never too far from Heathrow, Gatwick or even Southampton Airport. 4. One of the strongest motives for people moving out of London, or relocating to the UK is the strength of the private school sector. Schools with stellar reputations in or very close to the Hampshire Downs include Brockhurst & Marlston House School and Horris Hill Prep School in Newtown, Thorngrove School in Highclere, Cheam School in Headley, and Farleigh School in Goodworth Clatford, amongst an exceptionally wide choice. 5. If you’ve been living and working overseas, if you’re coming to live in the UK for the first time, or if you’re ‘down from London’, you’ll almost certainly have pictured yourself sitting in a traditional English pub on a Friday evening or Sunday lunchtime. You’ll be spoiled for choice in the Hampshire Downs area. The Royal Oak at Ecchinswell, the Yew Tree Inn and The Michelin-star Harrow at Little Bedwyn and The Three Tuns at Great Bedwyn, The Jack Russell in the village of Faccombe near Andover, The Crown and Garter at Inkpen, Berkshire with a its own bakery, The Hatchet in Lower Chute, The Cricketers in Tangley, The Lion at Clanville. 6. 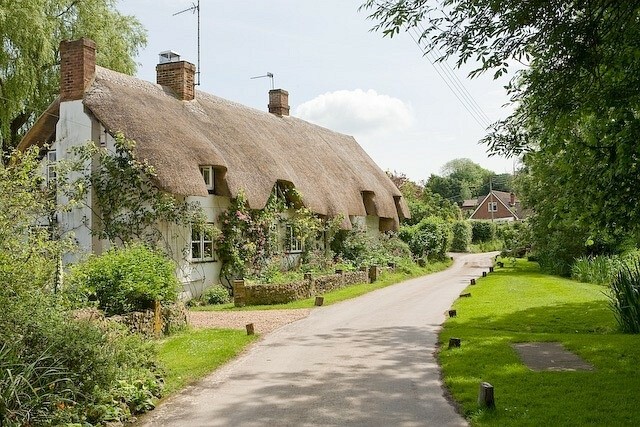 There are many cottages, farmhouses and manor houses in the distinctive architectural styles particular to Wiltshire, Hampshire and Berkshire – a patchwork of brick and flint, thatched and original clay-tile roofs – that chime particularly closely with the landscape in which they sit. 7. Take your pick of sports – field or ball-game. There is excellent shooting at Faccombe and Conholt estates – both amongst The Field magazine’s ’50 best sporting estates’; the northern reaches of the River Test and the River Kennet offer chalk streams for fly-fishing. There are many excellent junior rugby clubs such as Overton RFC, Hungerford RFC, Andover RFC, and easy access to Harlequins RFC and of course Twickenham, and Bath Rugby further west. There is Test and county cricket at the Ageas Bowl, and the country lanes, gentle hills and high-quality cafes make for some of the best weekend cycling terrain in the country. 8. The quintessential Hampshire Downs village? Kingsclere, half way between Basingstoke (Waterloo line) and Newbury (Paddington line). 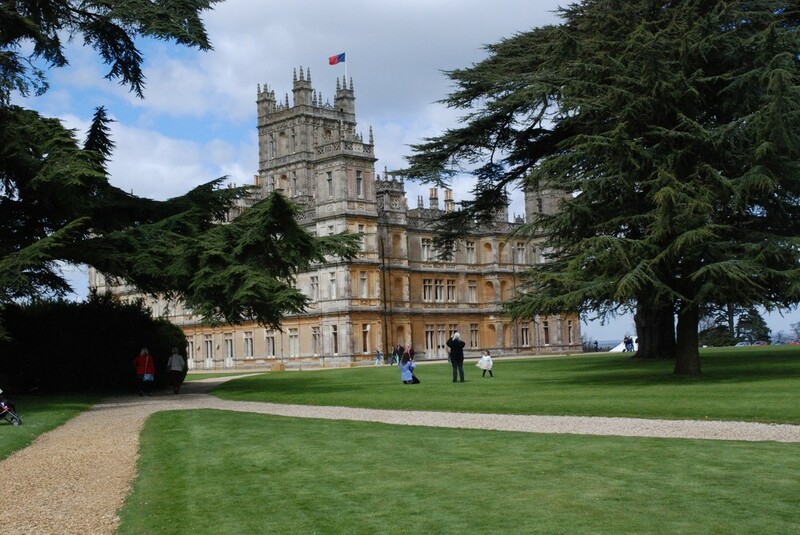 A high proportion of listed buildings, three pubs including The Bel and Dragon country inn, an excellent local butcher, an Italian restaurant, a good community spirit and, just five miles away, Highclere Castle where Downton Abbey was filmed. 9. Villages, villages, villages – take your pick in the Hampshire Downs – picture-perfect English villages abound. As well as Kingsclere there is Overton, the Chutes, East Woodhay, Ecchinswell, Fosbury, Shalbourne, Highclere – the list is endless.